Children and teens know that they will enhance their appearance in the long run and parents know that they are actually making an investment in their child’s health and appearance. Children and teens need to know that their smile and dental health is important to you, and that having braces will give them straight, healthy teeth, guaranteed to make them smile! 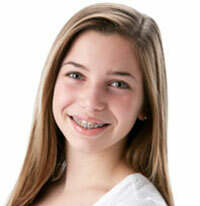 Dr. Drahota can help you determine if braces are the right option for your teenager.